Free magazine when you sign up to the Creative Bloq newsletter. We post reams of articles for artists and designers every week: tutorials, advice, news, features, reviews, and loads more. To make things easier, each week we curate a weekly email digest of the best content from Creative Bloq and its associated brands Computer Arts, net, ImagineFX, Paint & Draw, Web Designer, 3D Artist and 3D World. 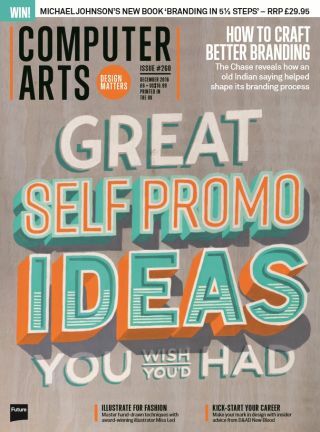 If you're not already signed up, here's an even better reason to get involved: a completely free digital edition of Computer Arts' Self Promo issue. As sold for £6, its crammed with inspiring ideas to get you and your work in front of clients. And it's yours to keep and read on your Mac, PC or mobile. So, to get the best of Creative Bloq every week, and your free digital edition of Computer Arts issue 260, just enter your email address into the form below (we promise we won't sell it), and look out for the link in your inbox.